There are a lot of ways where an employee’s paycheck can be calculated. A company may opt to outsource an accounting firm to do the calculating or they may also opt to pay for a software that will do it automatically every cut-off. However, there is a more economical way of computing employee paychecks and that is through using a payroll time sheet template. Why do we say that a calculator template is the most economical? For one, you will only be using a built-in worksheet software (payroll in MS Excel, LibreOffice Calc, Mac Numbers, etc. ), which means that you can save a lot of money just by making use of what you have readily in your computer. It may seem challenging just thinking about calculating your employees’ payroll. This may be true but by following the tips we are going to share and by using the sample net pay calculator templates in Excel and PDF that we have, everything will just flow flawlessly and with minimal to no error at all. Put in mind as well that the samples we have are pretty easy to customize and edit so you can customize it accordingly with what needs to be deducted from your employees’ pay and how much your employees get for the overtime that they render in the workplace. Now, are you ready to see why you should be using a paycheck calculator instead of an expensive software? Keep on reading this article! 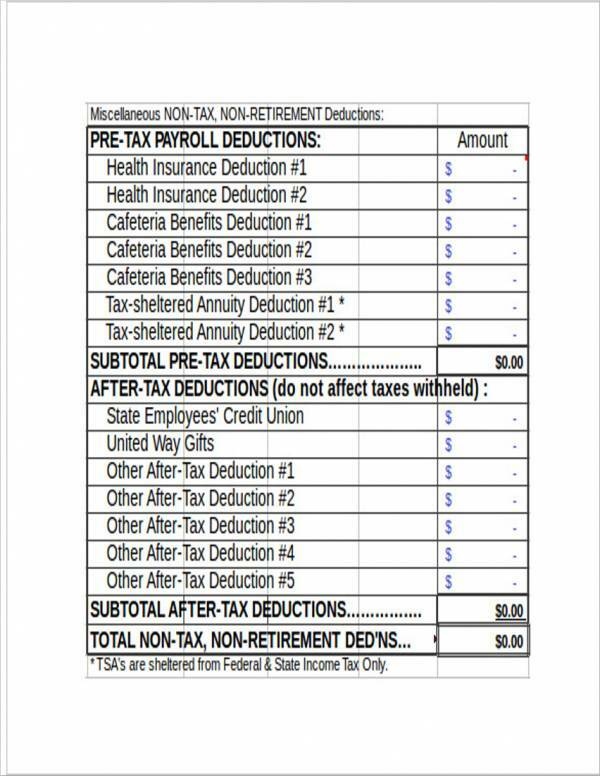 What Is Included in a Paycheck Calculator? A payroll hours calculator will typically include a few basic information about the employee and the salary, as well as deductions, that an employee is subject to. 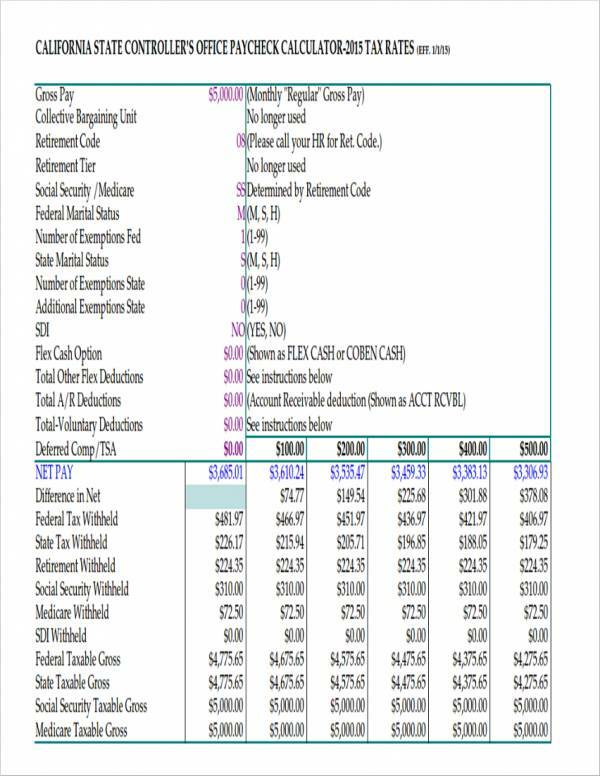 To give a quick breakdown of the common elements found in a paycheck calculator, keep reading this part of the article. 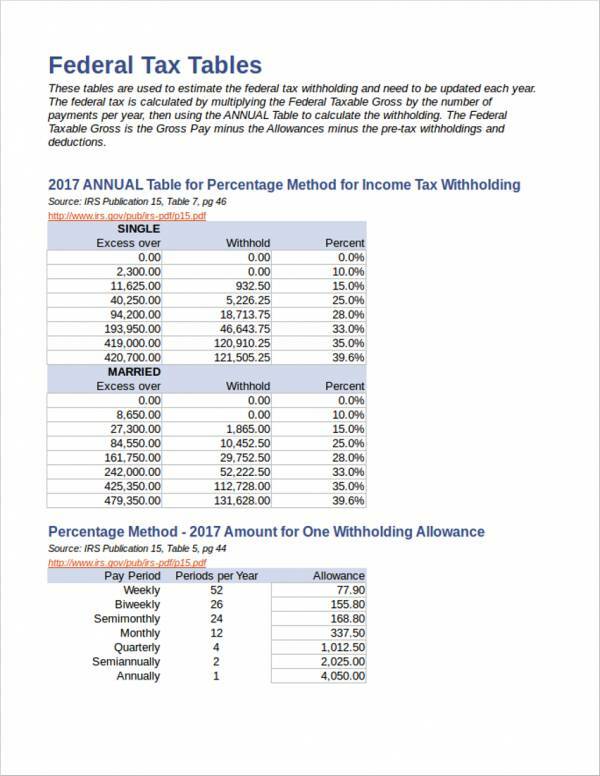 This part of the paycheck calculator will typically have the same information that will be found in the federal tax field. The only difference between the two is that federal tax is collected by the federal government whereas the state tax is collected by the state. There are a lot calculators that are available on this website that will make calculating of your employees’ salary way easier. However, we would like to recommend two that would actually make calculating a paycheck easier and a whole lot smoother. 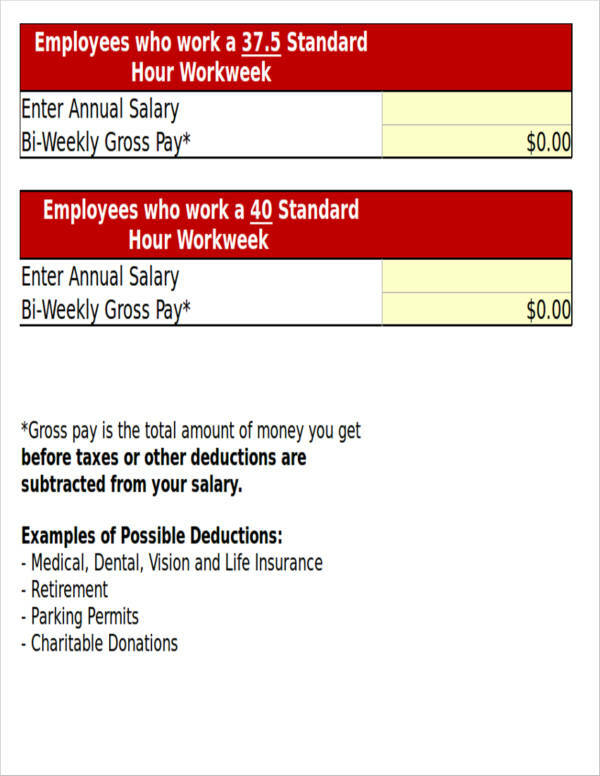 So what are the two types of paycheck calculators that could help you calculate the paycheck of your employees? Let us find out! 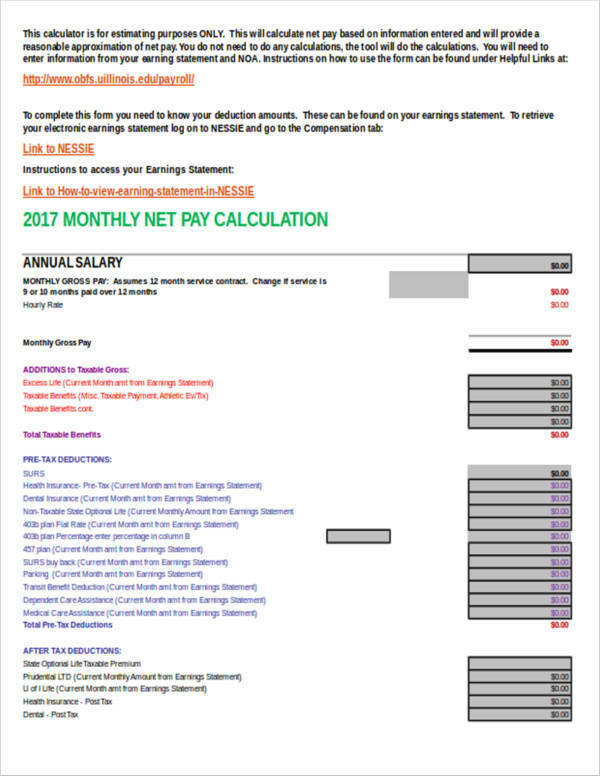 If you decide that you are going to pay your employees a set salary, making use of net pay calculator templates will be a good idea. 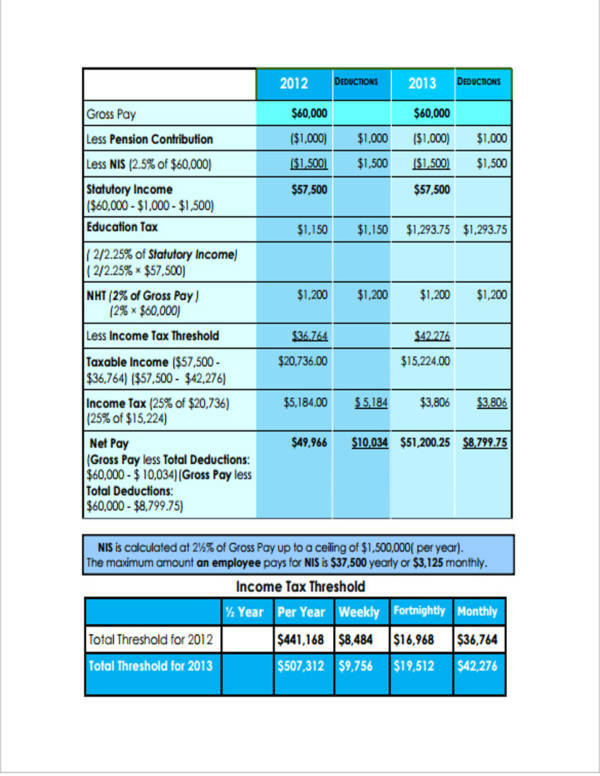 It will be easy to calculate the total net pay that the employee will get after taxes and deductions. All you need to do is to basically just enter the pay rate and the gross salary amount that the employee will get. 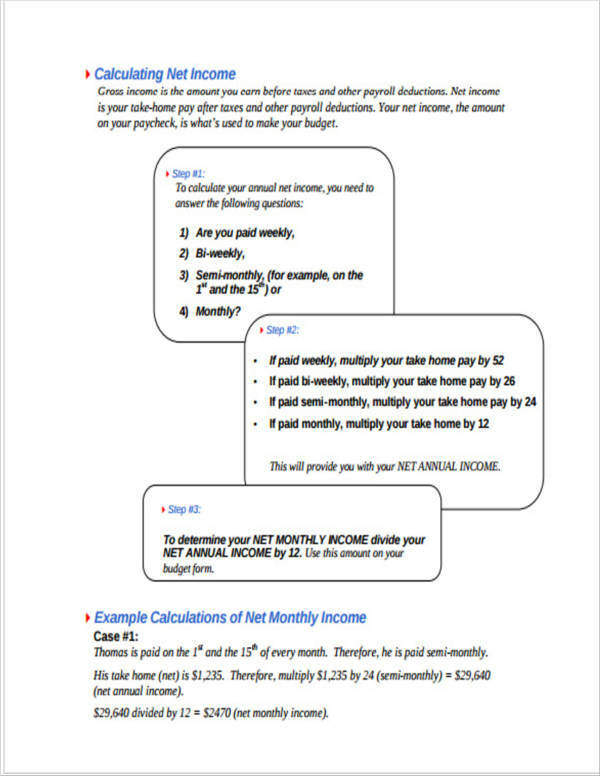 After doing this, the net pay will automatically reflect in the worksheet. Open MS Excel. Open a blank workbook or worksheet. This is the basic step you need to do in making your payroll form template. Name the columns accordingly. The labels can either be in bold, in a different font size, or you can change the color of the cell’s background to something else. It all depends on your preference and what you see is a good fit for the company. Add in the formulas. This is where the magic of making use of Excel comes in! Excel is pretty flexible, and by adding certain formulas to cells, you can easily and accurately calculate the certain amounts such as taxes, payroll deductions, and overtime pay. This way computations are automatic and less hectic. Customize your template! Add in your final touches and experiment with colors, font colors, and font sizes. Make sure everything looks formal and professional. After adding your final touches and finalizing how your template looks like, save it in a file name and folder that will be easy to locate on your computer. 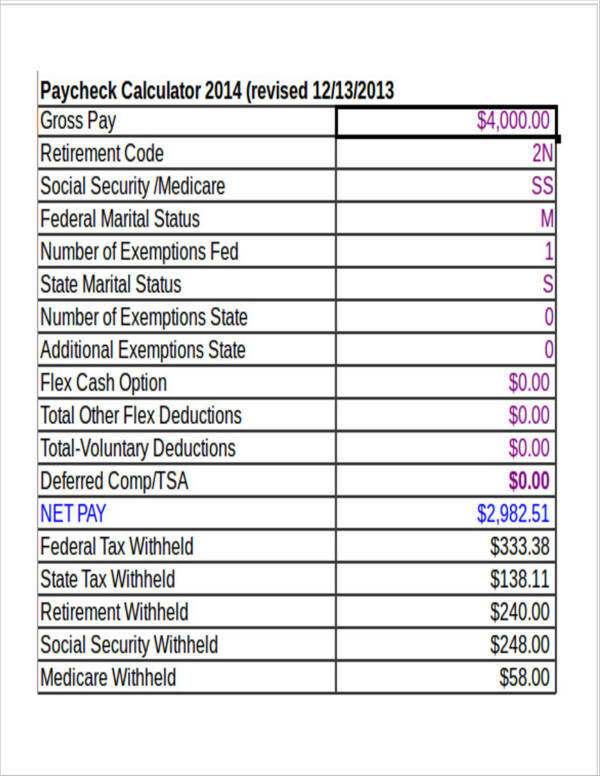 This is how you basically make a payroll template from scratch for your employee paychecks. However, do not forget to check the samples that we have as you can download and edit so you need not to start from scratch. Google Sheets. Everyone can pretty much have access to Google Sheets just by making a Google Account. It is also easy to use and functions just like MS Excel. It also saves every single change you make given that you are always connected to the Internet while using it. ThinkFree. This is another online worksheet platform similar to Google Sheets. Just like Google Sheets, you can easily trace files through one account. LibreOffice Calc. LibreOffice is an open-source application that is readily available in the Ubuntu software. Numbers. This is similar to MS Excel and is available to Mac users. It can also be used with iPads, iTouch, and iPhones. 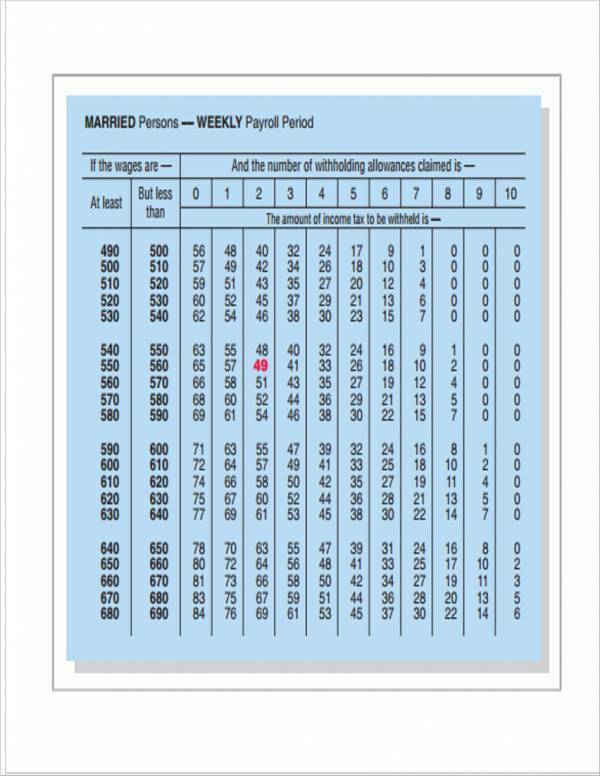 All the alternatives we have mentioned are compatible with the paycheck calculator templates that we have compiled for you on this very article. So you need not worry with compatibility issues as everything will calculate accurately and almost have the same formula formats. If you have just started your business, it would be a really good idea to do payroll taxes and process payroll yourself as it will help you save a lot when it comes to costs. The pay calculators that we have in this article will help you calculate the salary of your employees by simply entering the necessary data that is being asked by corresponding cells. 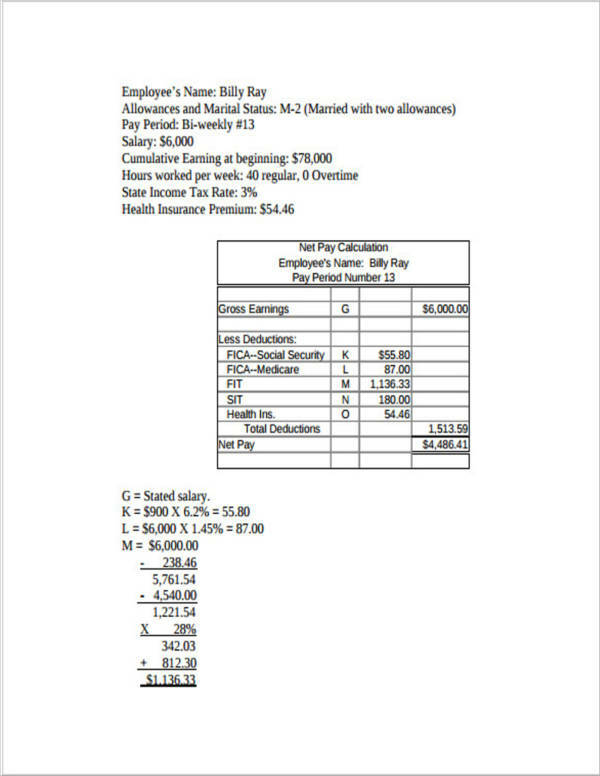 A lot of the samples that we have provided in this article will simply ask you to write the number of hours that the employee has rendered for a certain amount of time plus the overtime that has been rendered and the calculator will do the rest given that you have already set the deductions that you need to take out from the employee’s basic pay. 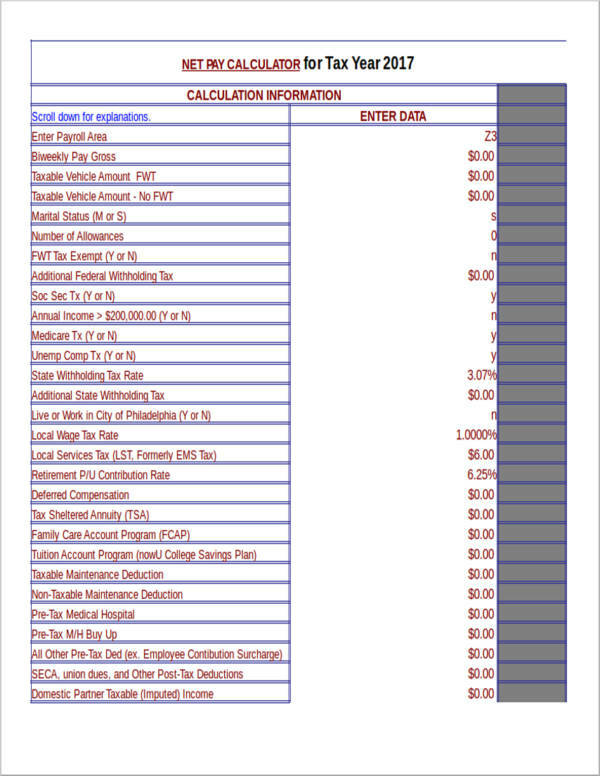 The calculator templates we have provided will calculate everything accurately as long as you keep the formula and the deductions up-to-date. Can Employees Make Use of the Templates? You may think that these templates can only be used by employers but we are here to let you know that employees can actually make use of these templates. It can help employees get a good estimate of how much they will be getting every pay period. 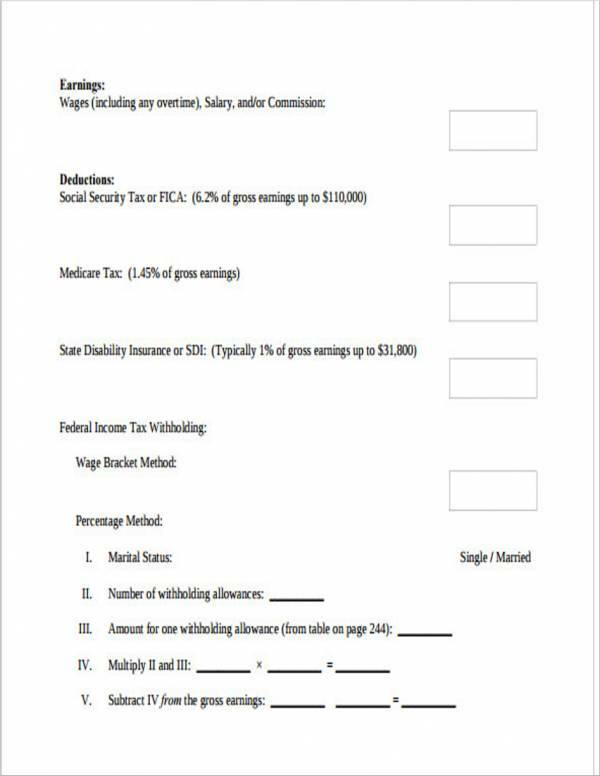 These are extremely helpful for those who are self-employed as you are the one solely responsible for calculating how much you will need to pay for tax. It helps to make the calculations a whole lot easier and will definitely give a good estimate. The templates we have compiled are available for free. The templates can be accessed anytime and anywhere. The sample templates we have are flexible. We hope you learned a lot from this article that we have. Just make sure to apply everything that you have learned and you are sure to end up with a template that you can use long-term!